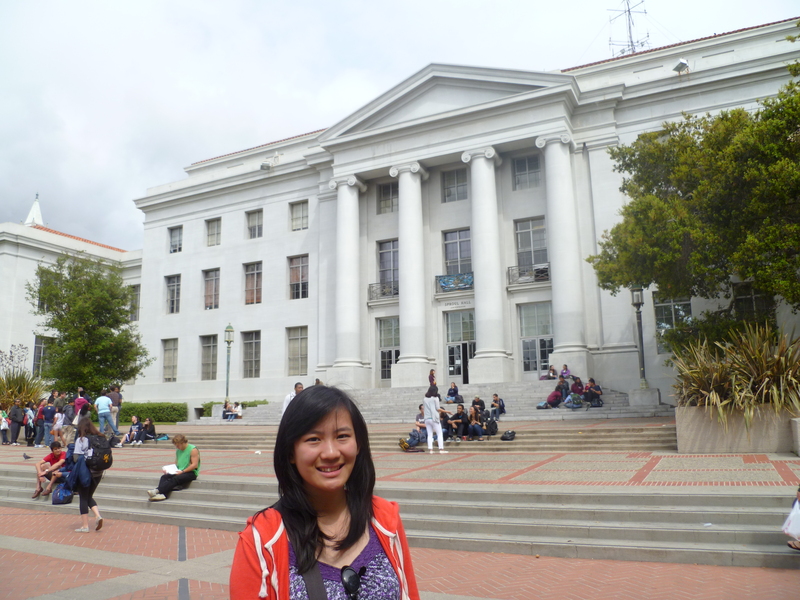 The first time I stepped onto the campus of UC Berkeley in Northern California, I was 9 years old and in the fourth grade. It was during a visit to Napa, California to see my mom’s best friend. She took us on a tour of the campus on the way to a Chocolate Factory nearby, called Scharffen Berger Chocolate Maker. I still remember all of it clearly, as if it happened yesterday. 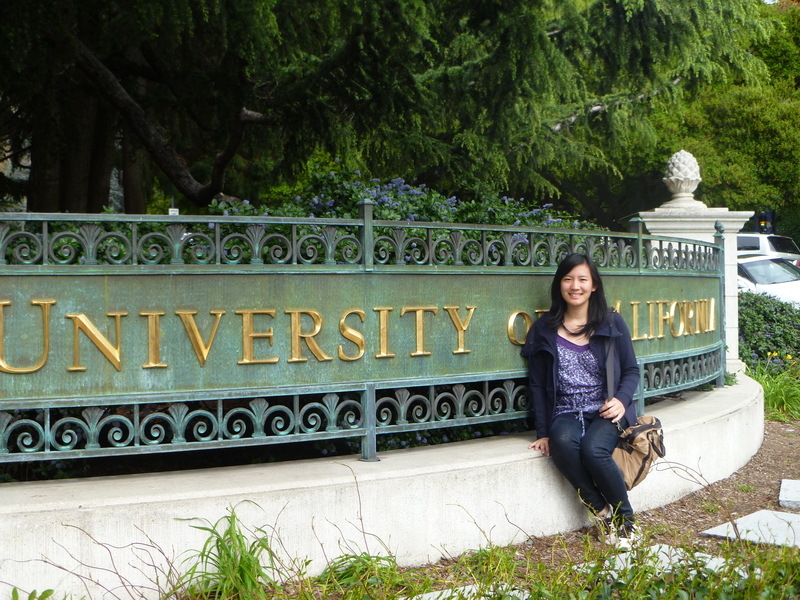 From the very first moment I arrived at Cal, something in my heart told me that this is the place I want to attend in the future. I was stunned, mesmerized, and fell completely in love with everything about that school. 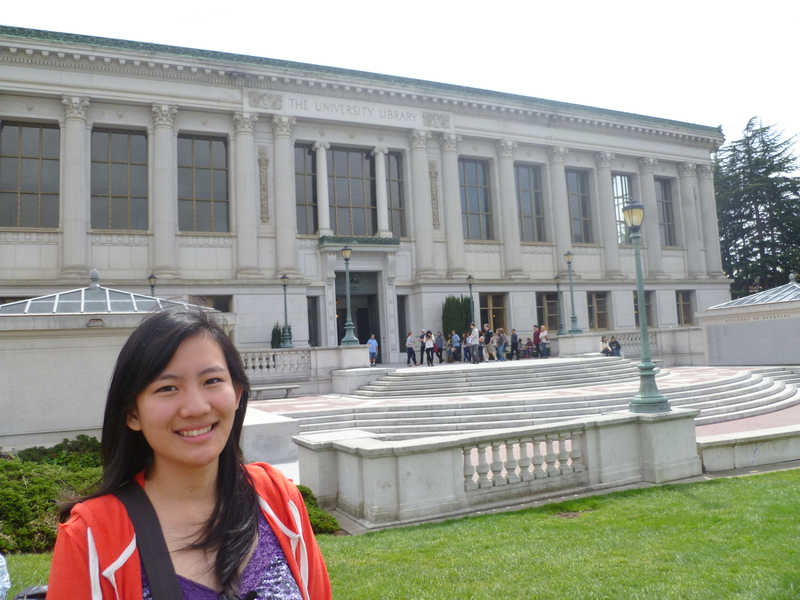 I remember standing in front of that very same administration building (as in the picture above) and announcing to the world in my childish voice “This is where I’ll be registering when I attend UC Berkeley!!!!! !” My mom and her friend chuckled amusingly at my declaration, and remarked that I have a tendency to pursue a goal with obstinate determination. 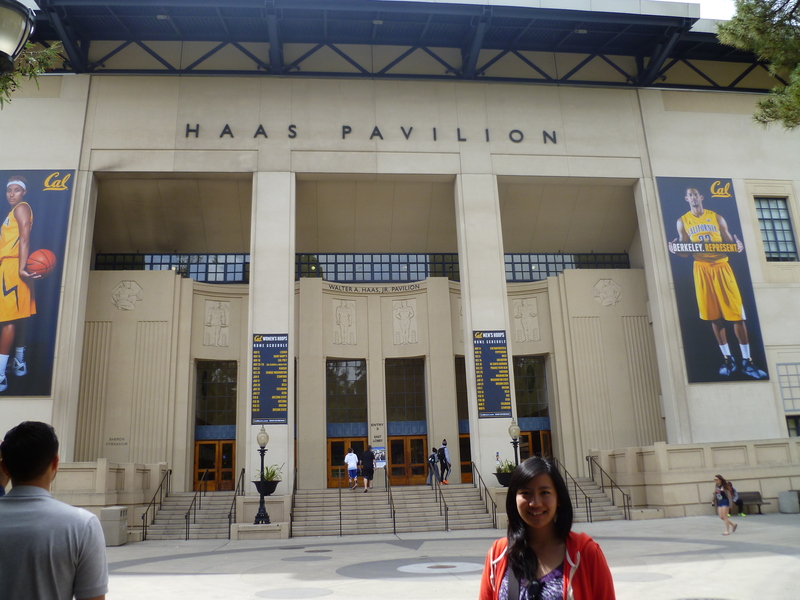 Since then, UC Berkeley became my official “dream school”, almost an obsession. It was the dream school I told people when I graduated from elementary school, middle school, and throughout high school. I googled statistics of students who got admitted to Cal on College Confidential endlessly. I did all the research I could possibly do to make sure I got in. Of course, it has occurred to me throughout the years the possibility of rejection, but I usually dismissed the thought quickly and hoped for the best. After my visit last spring break, it only confirmed and increased my desire to attend that school. 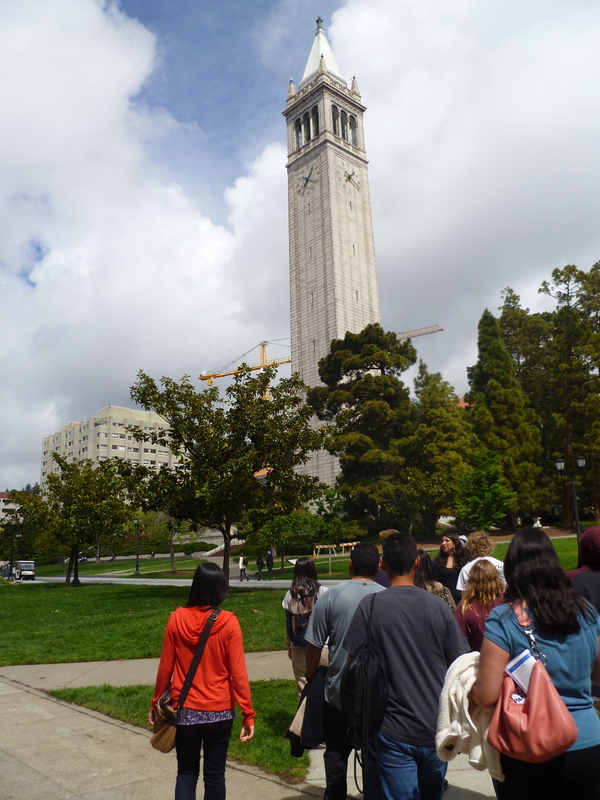 When people ask me why I want to go to UC Berkeley, I just smile stupidly and say that the school is simply perfect. To some, Berkeley is just a prestigious school in California. To me, it was much much more. It was the vision of my future. On Thursday, March 27th of 2014, I received my rejection letter. My mom had the camera out, filming, and captured my reaction on her phone. My dad was sitting next to me, just as nervous. Crash. I could literally hear the sound of my dream shattering into a million pieces, then thrown at my face. Just like that, a simple automated message on their admissions portal, the dream that I have fomented over the course of 9 years dissipated into thin air. My English teacher gave an interesting analogy in class. He said getting rejected from your dream school, is like having a huge crush on a boy at school, finally working up the courage to confess your feelings, then getting turned down. The rejection happens in a matter of seconds, but the feeling had existed for years. For the past few days, I have been feeling very lost and frustrated. Even though a year from now, I will probably think back to this time with scorn and amusement, as of right now, I can’t imagine myself going to any other university for the next four years. I know people usually end these kinds of posts saying they have moved on, found peace, learned life lessons from the experience. But I think that sometimes it’s okay to be sad about a loss, and to express your true feelings. I didn’t mean for this to be a desperate, whiny kind of post. I just wanted to get my thoughts and feelings out there, in order to help myself move on. Right now, I have no idea what college to attend although I know that I have gotten acceptances to wonderful universities. To all of the people who have gotten accepted to Cal or any first choice school, I sincerely offer my congratulations and happiness. It must be the best feeling in the world to get accepted to your top choice university, it’s a moment I wish I could’ve had the privilege to enjoy, and I wish you the best. I hope you all will love this school as much as I have, and enjoy the best time of your lives. To those who have also gotten rejected from your first choice, trust me, I feel your pain and am currently squatting in the same boat. To whomever reads this blog post, please comment and share your story or advice if you’ve been through a similar situation, anything will help :)!